Basseterre, St. Kitts (August 17th , 2016) – Following the success of the highly-anticipated Caribbean Rocks NYC – TEMPO TURNS 10 on June 5th at B.B. King’s Blues Club and Grill on 42nd St. (Times Square), TEMPO Networks will be premiering the Caribbean Rocks NYC Awards Show on Wednesday, August 17that 8pm. This 2-hour feature will bring the excitement of the event to viewers on Verizon FiOS throughout the U.S. East Coast (the world’s top source market for tourists from the Caribbean) and on Optimum/Cablevision throughout the NY Tristate Area (the source market’s epicenter), as well as throughout the Caribbean. The Awards Ceremony component of Caribbean Rocks NYC is designed to honor those who have made outstanding contributions to the Caribbean diaspora,. This year, Caribbean Rocks NYC awards were presented to Hon. Una Clarke (legislator and educator), Dr. Slinger Francisco (legendary calypsonian The Mighty Sparrow), Mr. Eric Archibald (Celebrity stylist for Jennifer Hudson, Beyoncé, R. Kelly, Usher and others), CTO Secretary General Mr. Hugh Riley and, posthumously, Mr. Johnny Kemp (singer of Platinum-selling, Grammy-nominated “Just Got Paid”) to Mr. Kemp’s family. TEMPO produced the event in collaboration with the Caribbean Tourism Organization. “Our relationship with TEMPO goes back to the very beginning: TEMPO started during a Caribbean Week in New York event,’ said CTO Secretary General Mr. Hugh Riley. Prominent government figures were in attendance, including Director General Joy Jibrilu of Platinum Sponsor the Islands of the Bahamas, Hon. Richard Sealy of Gold Sponsor Barbados, Hon. Portia Stubbs-Smith of Silver Sponsor Turks and Caicos and Hon. Lindsay Grant of Bronze Sponsor St. Kitts. “We’re all grateful for what TEMPO has done for the last 10 years,” said St. Kitts Minister of Tourism Hon. Lindsay Grant in an interview during the event. “To get our message out – to get it out there with a partner who understands – who gets us as a people – who gets us as a region – You couldn’t ask for a better partnership,” said Director General Joy Jibrilu of the Bahamas. “Jamaica is pleased to join its counterparts in celebrating the vibrant and effusive regional entertainment brand [of TEMPO] during Caribbean Week in New York. We wish to congratulate TEMPO on achieving this significant milestone of ten years [with an] event that promotes the power of Caribbean entertainment,” said Hon. Edmund Bartlett, Minister of Tourism for Jamaica. “Thank you again for this effort [to] engage the diaspora in a more meaningful way. I think this is wonderful, that we are on to something here. I hope that it can grow from strength to strength,” said Hon. Richard Sealey, Minister of Tourism, Barbados; Chairman of the Board, CTO. “I’d just like to say congratulations to TEMPO for 10 years of service & we appreciate having you in the industry,” said Ms. Ludwina Fulford, Director of Culture. “Go TEMPO – 10th anniversary! I celebrate TEMPO!” said Hon. Portia Stubbs-Smith, Minister of Tourism. “TEMPO represents the proud heritage of the region through promotion of our unique Caribbean Identity… Keep up the great work,” said Ms. Alicia Cabrera, Senior Marketing Manager of Caribbean Airlines. “We are particularly excited about the launch of Caribbean Rocks NYC, which is designed to showcase all of the islands of the region… We wish TEMPO Networks well in this new endeavour and we congratulate them on their tenth anniversary,” said Mr. Leon Williams, CEO of the Bahamas Telecommunications Company. The Awards Show features talent from the sponsoring destinations, including Fanshawn Taylor, Tebby, DMAC, Stileet, Puzzle, the Spank Band (the Bahamas); Tess (Turks & Caicos); Mr. Bagnall (St. Kitts). “Congratulations on putting on a spectacular event, everyone back home talked about how fantastic it was. I can’t wait for next year!“ said Tebby (the Bahamas). “The event was amazing! Much love from Turks & Caicos! Looking forward to much more!“ said Tess (Turks and Caicos Islands). “Who else could bring the Caribbean together in such an awesome manner in such an amazing atmosphere and venue?” said Ce’Cile. The Awards Show will be followed later this Fall by a Performance Show featuring the full line-up of artists, including Romain Virgo, Ce’Cile, Loyal Flames (Jamaica); Heartafiyah (Barbados); Rock City; Isaac Blackman; social media star Quite Perry; and others. To subscribe to TEMPO, customers should call 1-800-Verizon (1-800-837-4966); for Optimum/Cablevision (Channel 1105), call 1-866-360-2756. For more information on Caribbean Rocks NYC – including information on Caribbean Rocks NYC 2017 as it becomes available – visit www.caribbeanrocksnyc.com. TEMPO Networks is the premier media and entertainment company worldwide producing and offering culturally relevant Caribbean content and engagement on all media platforms: on air, online, on mobile and on the ground. TEMPO Networks’ Flagship cable television network, TEMPO, captures and delivers the extraordinary Caribbean vibe, loved worldwide by over 40 Million annual travelers to the Caribbean, by producing and delivering Caribbean content dedicated to travel & tourism, music, cuisine, adventure, sailing, diving, social awareness initiatives, etc. 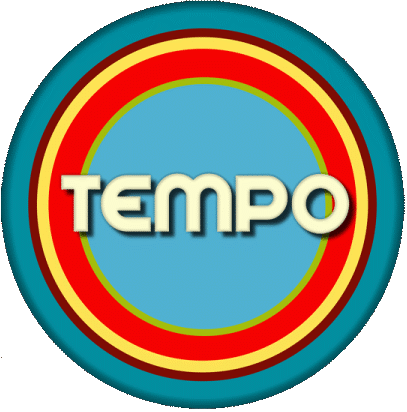 TEMPO is the “Caribbean Connection.” TEMPO broadcasts in over 30 countries in the Caribbean and on Optimum/Cablevision in the NY Tristate Area, reaching over 5M viewers. In 2016, TEMPO launches nationally throughout the U.S. on Verizon FiOS. Additional information on TEMPO is available at www.gotTEMPO.com.